Residential Fence Products | American Fence and Supply | Toledo, Ohio | American Fence & Supply Co.
American Fence & Supply carries all types of residential fencing from Ornamental Steel to Chain Link. We cater to projects of all sizes and designs. Our courteous staff will help you make a decision that is right for you. Our well trained staff is fully equipped with the proper tools and knowledge that enabling them to be the best in the business. We do not subcontract any portion of our residential work, thus ensuring a quality installation time and time again. 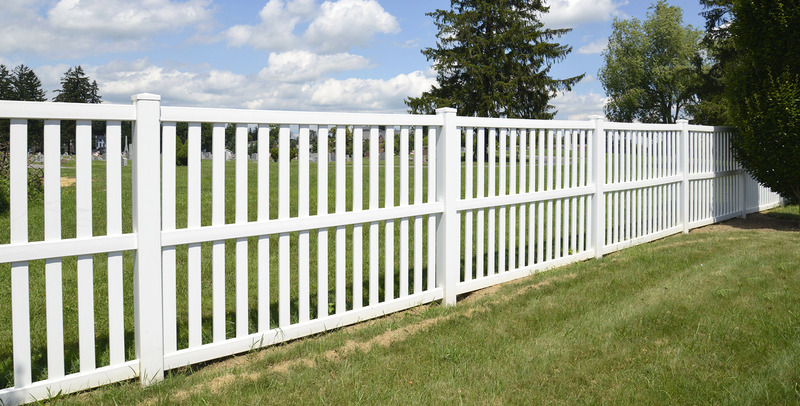 American Fence and Supply, LLC will warranty any defects in workmanship for the life of the fence. This covers installation errors only. Fence materials will change appearance, dimension and shape due to the process of aging and exposure to the elements. Wood fence materials are subject to warping and cracking. Defects to the fence and fence hardware caused by these natural changes to the material are specifically excluded from this warranty. Also excluded are vandalism, climbing, vehicular damage, swinging on gates, and normal wear and tear. Labor warranty not to exceed the time of the manufacturer’s warranty.